Should I stop posting, it doesn't mean I've quit. 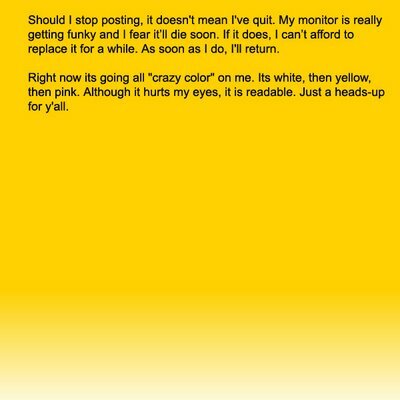 My monitor is really getting funky and I fear it'll die soon. If it does, I can't afford to replace it for a while. As soon as I do, I'll return. Right now its going all "crazy color" on me. 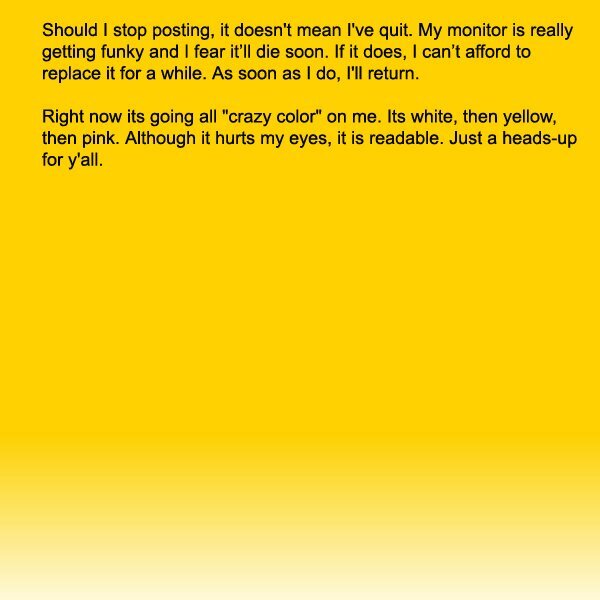 Its white, then pink, now yellow. Although it hurts my eyes, it is readable. Just a heads-up for y'all.